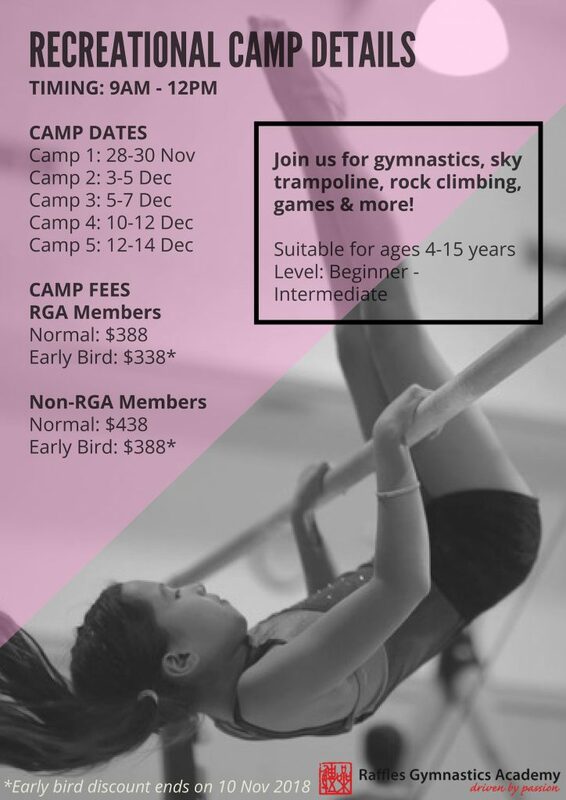 Welcome to Raffles Gymnastics Academy’s Recreational Holiday Camp 2018! The 3-day camp is suitable for boys and girls aged 4 -15 years. Activities include gymnastics, sky trampoline, rock wall climbing and lots of games! Healthy fruits and snacks would be provided too. 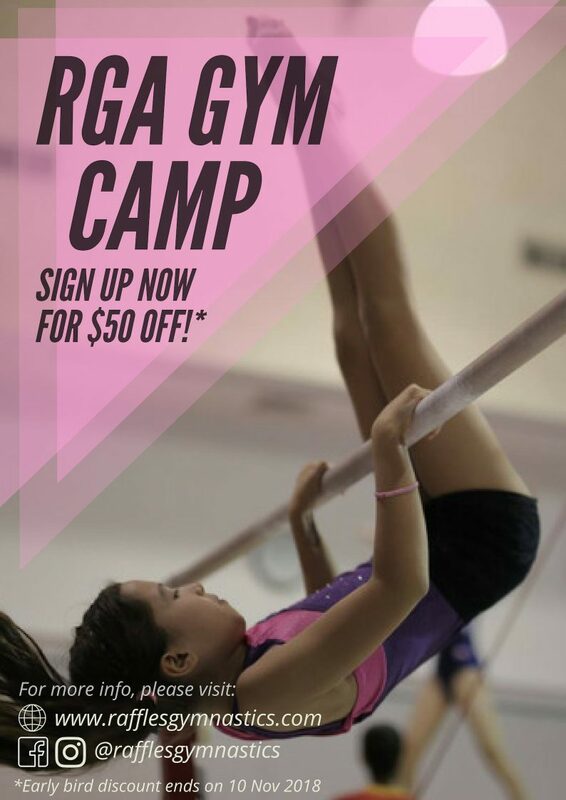 * Raffles Gymnastics Academy reserves the right to change, modify or amend any fees, schedules and the terms & conditions at any time without prior notice. * Applications will only be confirmed upon payment via cash or cheque as well as signing of hardcopy of the indemnity form at our front desk. * Slots will be given on a first come first serve basis. * In the event that minimum numbers for the camp are not met, classes may be cancelled, and full refunds will be made.